Translabial 3D/4D ultrasound is increasingly being used in the diagnostic evaluation of pelvic floor dysfunction. The result of the assessment is influenced by a number of confounders that are generally unrecognised. The aim of this study was to determine the short- to medium-term repeatability of translabial ultrasound measures of female pelvic organ support and pelvic floor anatomy. 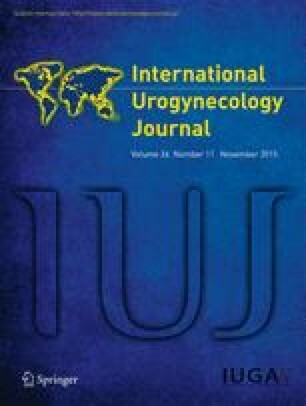 This is a retrospective study analyzing archived ultrasound volume datasets of 106 patients with pelvic floor dysfunction. Every subject was assessed twice at an average interval of 73 days. Outcome measures including hiatal area on Valsalva, descent of the bladder neck, bladder, uterus and rectal ampulla, rectocele depth, diagnosis of true rectocele, and levator integrity (avulsion) were compared at the first and second appointments. All parameters of organ descent demonstrated good to excellent reliability (ICC 0.73–0.93) except for rectocele descent, which showed moderate reliability (ICC 0.44, CI 0.26–0.58). The most highly repeatable measure was hiatal area on Valsalva or “ballooning” (ICC 0.93, CI 0.90–0.95). For the diagnosis of levator avulsion and true rectocele, agreement was very high (kappa 0.91 for avulsion (CI 0.77–0.94) and kappa 0.73 (CI 0.56–0.84) for true rectocele). The short- to medium-term repeatability of translabial ultrasound measures of functional pelvic floor anatomy seems to be high. Hiatal area on Valsalva (ballooning) and diagnosis of levator avulsion were the most repeatable measures. The least repeatable measures related to the posterior compartment. H.P. Dietz and K.L. Shek have received unrestricted educational grants from GE Medical.